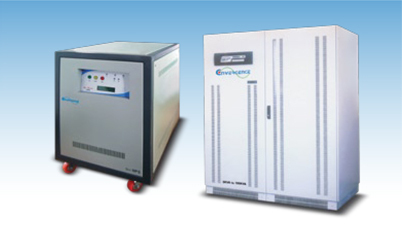 Convergence Txi series (3 Phase Input 3 Phase Out put) are pure online UPS Systems with Double Conversion IGBT Technology with True sine wave output at all times offers guaranteed compatibility with all equipment types without any restrictions for motorized or compressor based load. These models comes with Built in Galvanized Isolation Transformer. Ideal for all type of machine load like, Workstations, Hubs, Routers, Concentrators, IP Telephony and Traditional EPBX Switching System & Industrial Machines.